Is there a free trial of the Strategyzer App available? – Have a question? Find the answer here. 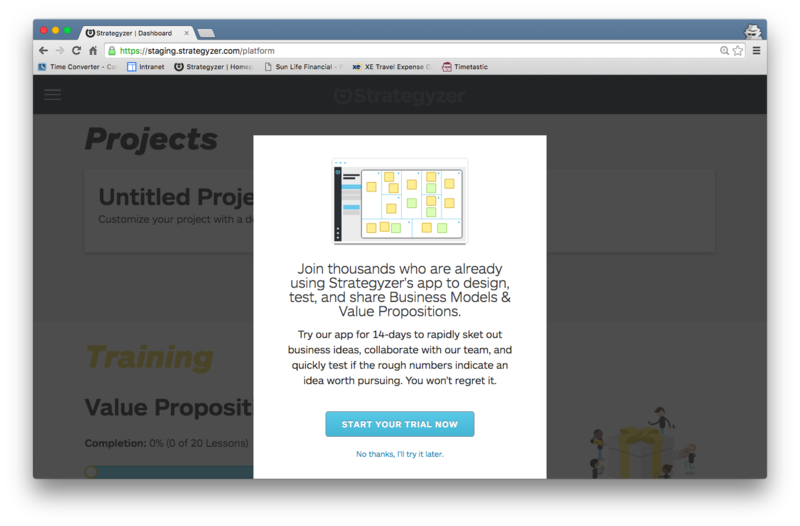 Is there a free trial of the Strategyzer App available? We are happy to offer users that have never purchased a Project a 14-day free trial. Those who have purchased other Strategyzer products or have been invited to collaborate on other Projects will still be eligible to participate in the free trial. This offer does not require billing information or credit card numbers to activate. 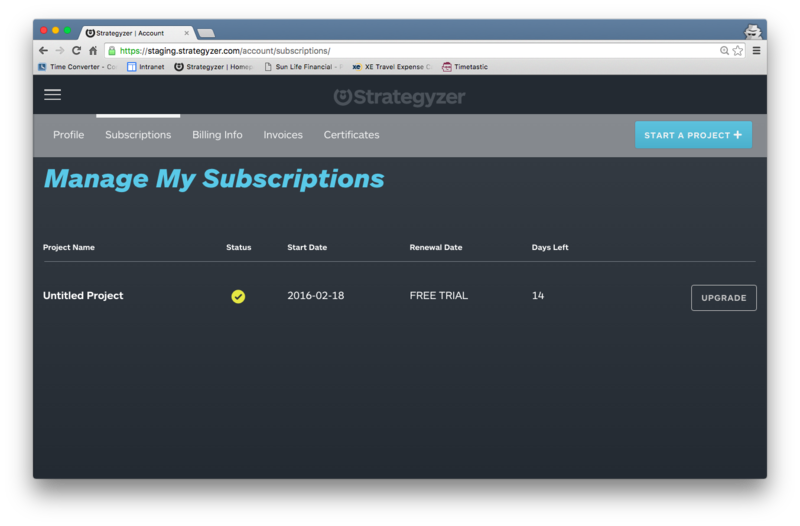 How does billing for the Strategyzer App work? Where can I find my invoices/receipts? 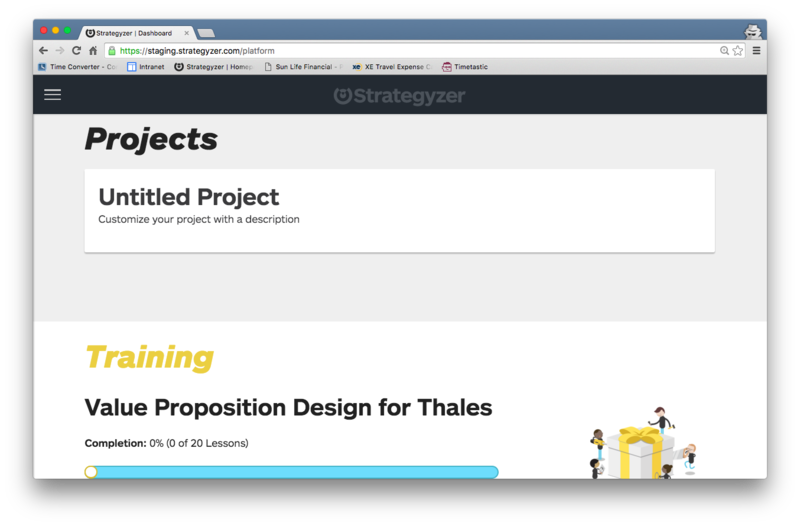 How do I activate my Strategyzer license? I got an unexpected credit card charge. Why? How do I cancel a Project subscription, get a refund or close my account? Are there any other payment options besides credit card available? I got a coupon code, how does it work? My credit card was declined during a purchase. What should I do? 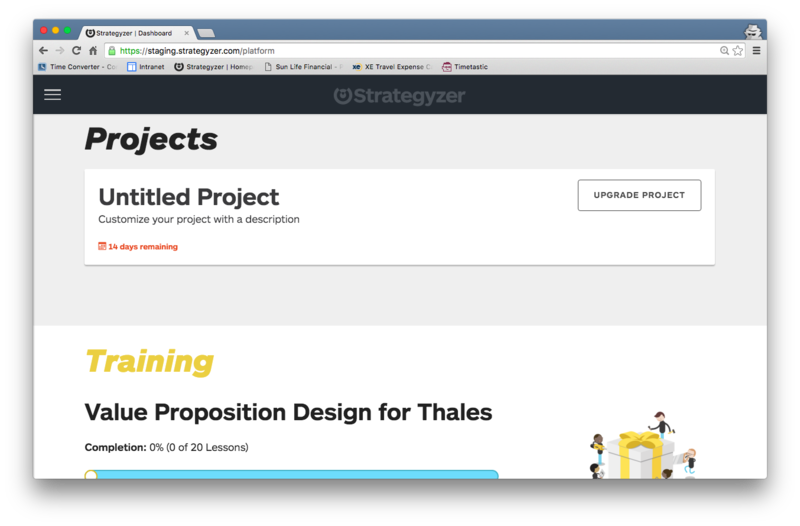 Are there any discounts available for the Strategyzer App or Online Course? How can I change my username, billing info, password or email address? How do I add a VAT number to my account's billing info? I can’t log in or sign in. How do I reset my password?